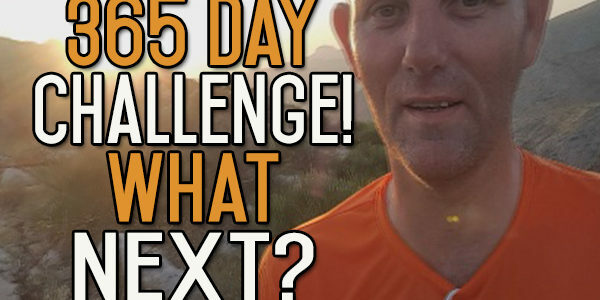 365 Day Challenge is Over – What’s Next? This is officially day 366 of the 365-day challenge! 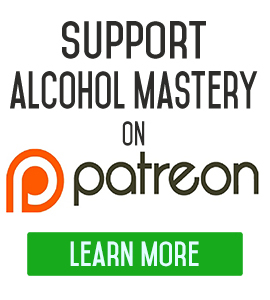 As I said yesterday, today I am going to tell you a little bit about the future direction of Alcohol Mastery and its website and videos, as well as what it is that I plan to do next. It’s been a great experience doing a video every day but it’s also been tough work to stick with it and upload a video every day. I am going to take a break for a month, BUT, I will still be sharing a couple of videos every week. I am recording this last Sunday – 25 June 2017, which is also my birthday. Since I stopped drinking I have chosen to choose a different mountain to climb every birthday; it’s become my new birthday celebration. It is about seven o’clock in the morning and this is something that takes me a while to do but it is also something that sort of pulls every together. I don’t know what the future will see me doing on forthcoming birthdays, maybe I will choose to do something abroad – that would be something exciting to do. I love where I live now, there are a load of mountains that I climb all the time but it’s sort of a regular thing and when you do something like that regularly you sort of get into a routine. I get out about a twice a week and it takes about four hours to circuit around the mountains which is about a 16 km trek. When you get used to doing something and you do the same track over and over again, it becomes a routine and it’s become a part of what you do, just plodding and it is like a meditation then. I tend to get most of my thinking done when I’m out walking but it’s great to do something new so every so often especially on my birthday. My birthday used to be about indulgence, instant gratification, getting drunk, eating birthday cake, crap food all that kind of stuff. Now, I try to visit Pekom, it is just below where I am now, down in the Valley, near Benidorm, North Picante. There is one of the best curry houses around in Pekom, there is hardly any oil in them, really good ingredients, great taste, light and one of the best garlic naan breads that I have ever eaten. We try to go there four times a year and that’s my birthday treat as well as getting up in the morning and doing this walk. So that’s just where I am. I am going to continue on now, I’m only three kilometers into this just at the top of the first mountain. I think it goes on for another 10 kilometers or something like that so hopefully I’m going to get back by ten. There is a big parade tonight in the village it’s called the Moors and Christians parade, every village has one and they all put on such a fantastic show. It is a Christian celebration and they dress up as either Moors or Christians, but even if you are an agnostic you can take something out of it – it’s just a great spectacle. So we’re doing that tonight, then maybe a bit more walking tomorrow and Tuesday we are going back home. I’m opening up another channel called habits unplugged, which is going to be a similar sort of thing. I’m not sure how many videos a week will be shared, maybe two or three and then maybe two or three on alcohol mastery, so with the two websites/the two channels you are probably going to get roughly the same amount of videos per week. I will be talking a lot about positivity and a lot about learning and how you can need to learn new skills in order to move forward. Not knowing a skill is not a bad thing; it’s not bothering to learn the skill and expecting everything to be alright that’s a bad thing. So it’s about learning and then I’m going to talk about taking action, nutrition and health and getting out and exercising; just doing different things in your life to try and replace the old with the new. 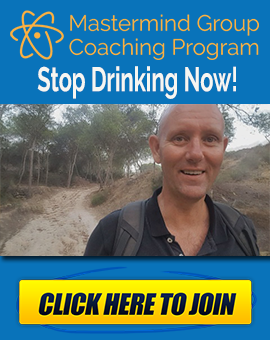 It is a holistic approach, as I said before with alcohol mastery you can’t expect your life to change just by giving up the alcohol, your life will change but it will only change only to a certain degree. You’ve got to put in the effort to think about what you want to replace the alcohol with. You cannot leave a behavioural vacuum. You’ve got to have something in its place that will pull you forwards in your life instead of pulling you backwards. My life is completely different since I’ve stopped drinking which was the catalyst of everything. The catalyst was for me really before that, it was quitting smoking and then seeing my son picking up some of the habits that I taught him to do over the years. By taking one thing after another then you start to make changes in your life. You start to improve yourself and put yourself in the direction that you want to go in, towards to that person that you want to be, towards the best possible version of yourself. I am nowhere near that I have still got a long way to go, I don’t know if I will ever get there but that’s not the point, if you do get there then what are you going to do then? If you become the best possible version of yourself what do you do then? For me it’s the journey, it’s discovery, it’s learning new skills and learning new things about yourself, learning new things about the world, learning how you operate, how you operate on the best possible level and trying to keep that up. I am not into pushing it and pushing it and pushing it until I find the extremes; I am in to having a healthy happy life where I can do things and where I can go to places, but in general no matter where I am, whether I am at home or travelling or whatever I am doing, I feel good about what I am doing. I feel healthy about who I am as a person, I feel healthy about the way I live. So, that’s what habits unplugged is going to be all about, it’s about that kind of transformative process from the bad habits into the good habits. One of the reasons why I am doing another website is because with alcohol mastery there is one thing that I look at every single day and its alcohol. 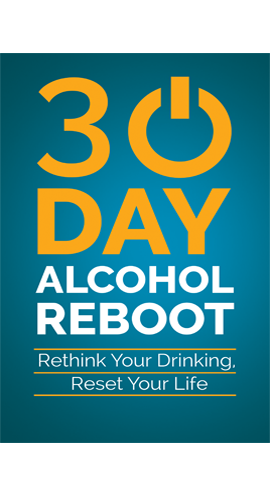 I am trying to teach people that the way to get away from alcohol is to not think about it, and I think about it every day from that perspective. It is not detrimental to me to do so, but I want people to look at habits in general as the same thing, alcohol drinking is a habit, it’s a bad habit that is all it is. Taking drugs is a bad habit, you get into the drug taking. I mean at the beginning it takes a long time for it to become a habit and even heroin becomes a habit after a while and there have been stories which I’ve talked about before where people have been so called hooked on heroin in certain circumstances, change the context of their lives and are no longer hooked. For instance when of the biggest studies that was done was after the Vietnam war and when soldiers came back from Vietnam, they had such an addiction and such a problem that they thought they were going to have a huge academic to face when the soldiers came back. In actual fact most of the soldiers found, when they got out of the hell hole that was Vietnam or not Vietnam but the situation they were in the war and somebody trying to kill them, once they go back home most of them just stopped taking the heroin. So, it was the contextual cues, it was the contextual part of this whole process that was keeping them hooked on the heroin in the first place. So, as I saw it is a habitual thing that you have to learn. If you learn how to how to deal with habits then you will break down any bad things that you do in your life. So that’s happening at the beginning of August. I am going to use the next month just to think about it, I really want to get the forum back up in a different form than it was before. It won’t be on Facebook but on the website and I will have to take a much bigger role in that than I was doing before. The forum was just helping so many people but there was so much ranker as well because it was unfocused so next month I will be thinking about how I can do that for everyone’s benefit. If I am going to do this and spend so much time on it, I’ve got to earn out of it as well so that’s one of the things that I will be also seriously thinking about. I will keep you updated, there will still be a couple of videos released every week. I hope you’ve enjoyed this year, one of the reasons why I am trying to bring it down to two or three videos a week is just so I can try and put some more time into the videos. I feel some of them are rushed and I didn’t put much time into them. Let me know what you think, I will see you in a couple of days. I will put a video up maybe Thursday and I will also put whatever I am doing in the newsletter, so videos for both alcohol mastery and habits unplugged will be sent on the one newsletter, so if you subscribe to, regardless of which site, you will get them all. Just a couple of things before I finish here if you want to subscribe to the YouTube channel you can do so by clicking on the link up here or down below. 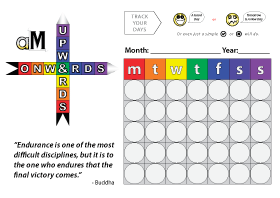 Also now this 365-day challenge is finished you can visit the website where there will be a link to the first one hundred days, one to two hundred days, two to three hundred days and then the last 65 days. Thank you, Kevin! Happy Belated Birthday! Happy Birthday Kevin, All the Best. I literally only found your website 3 days ago when I woke with a crappy hangover and once again said “never again.” Congratulations on finishing your year. I am enjoying your podcast, blog posts, and videos. About 3 years ago I quit alcholof for around 6 months and somehow got back to it. Btw, I’m 37 (married with 2 kids) and have been drinking for around 19 years. So once again I am back to day 3 now and have this weekend decided to start making milk kefir from home. I am waiting for my grains to arrive in the mail. I think it will be a great switch since kefir helps greatly to detox and restore health. Out with the poison and in with a new tasty hobby. I am also an avid reader; it is great to see someone else who promotes lots of reading. Life is all about learning and growing isn’t it? Thank you Kevin for helping so many of us as we try to do just that. Onward and upward! Happy b-day Kevin! Hope you enjoyed it. Love the idea of “Habits Unplugged” — already subscribed and looking forward to checking it out. Thank you again for all your great work with Alcohol Mastery. Good job Kevin. You are much appreciated thanks.